When we think of redecorating our homes and giving it a new look, we think of everything, the walls, the cabinets, the kitchen, the furniture etc, but most of us always forget the one thing that we use every single day of our lives – the mirror. The mirror does not have to be subjected to this kind of bias anymore, especially when you can have these innovative and designer cursor shaped mirrors. 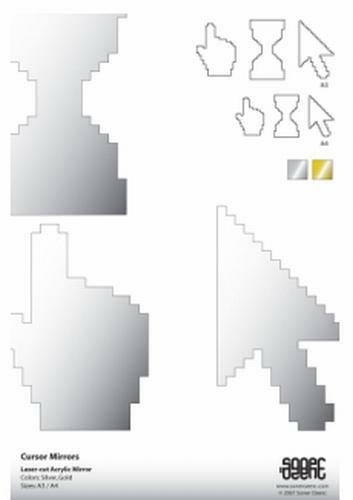 These cursor shaped mirrors from Sonerozenc, imitate all the different faces of the cursor, the hourglass, the arrow pointer and the hand pointer cursors. 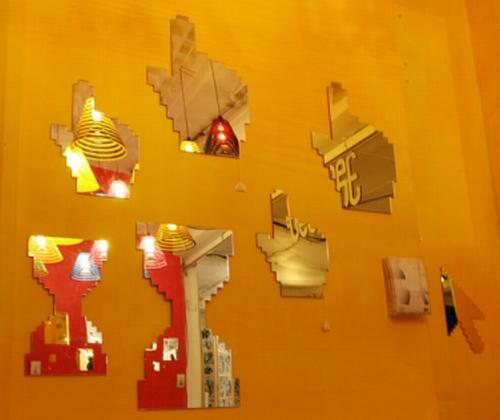 You can have these cursor shaped mirrors in your redecorated house and change the look of the rooms even more. It is not that we were biased against the mirrors, but it is just strange that no one ever thinks of replacing a mirror in the house unless its broken, and neither do we think of using such designer mirrors. It is strange that we do not give a second thought to something that is so much a part of our daily routine. If you want to look at other designer mirrors, then you should also check out the Virtual Butler Mirror and the Motherboard Bathroom Mirror designs.